Well, If I say “Social sites being our second home”, I think I might be right. Almost all of our time is dedicated to the social media. One new notification arrives and we keep checking our phones so eagerly as if there would be a text showing, “Congrats you have won 1 crores”!!. hahaha.. When we are so much into it, how can memes not affect us? We go through a meme and we feel so connected as it was made for us. By reading every other or so, we keep tagging our friends. Let us just have a look at memes of 2017 and 18, that broke the desi internet. 1.“Kya Aapne Kabhi Online Hotel Search Kiya Hai??”!!!! And yes that’s the trivago guy, who just keeps us asking this question all the time. If you got me right, mark my words, “All the time”. 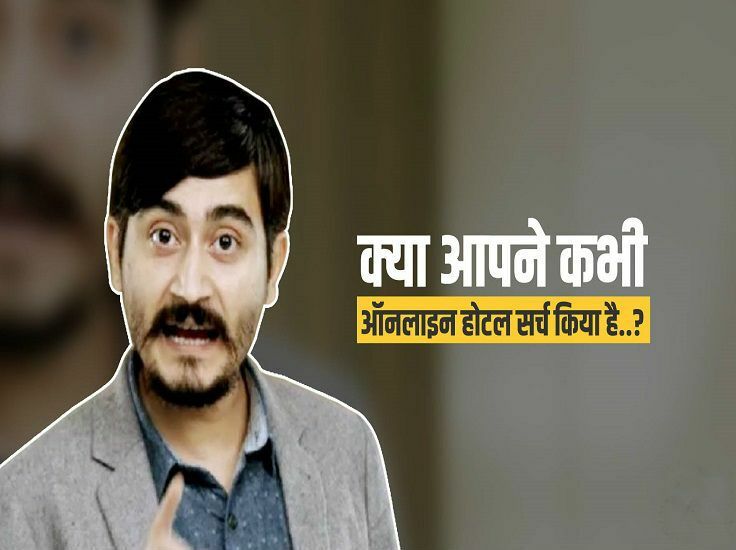 Even the trivago guy Abhinav Kumar himself knows that he is being memed now. The best part is he himself keeps sharing the memes made over him. Here’s something you can’t stop laughing..
Me: Kya aapne Kabhi online hotel search Kiya hai??? Hahahha..
2.“Ye Bik Gayi Hai Gormint”!!! Remember that old lady with her old regular specs and a dupatta over his head keeping abusing our so-called system. But not all that got noticed, people bookmarked one line from the whole statement. I.e. 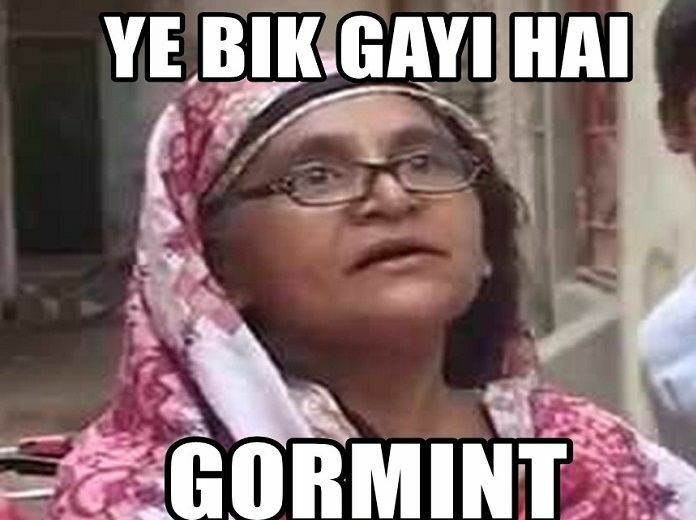 “Ye Bik Gayi hai Gormint”. The funniest part is she pronounced that way and we accepted the same way. And the line, “Yeh saare milke hume bewakoof bana rahe hai” just grabbed even “Gormint’s” attention too. Can you please stop her from singing?, “Kuch bhi gaati hai yaar tu”, and what not people said about her singing. 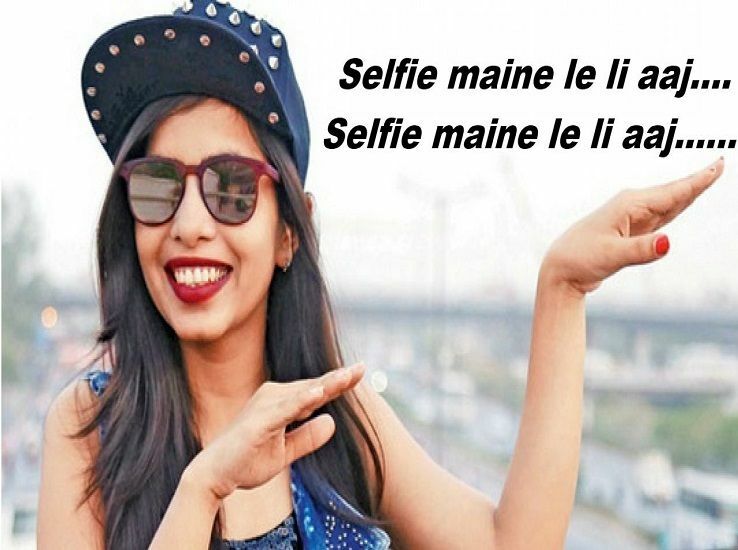 But how can someone stop the selfie queen aka Dhinchak Pooja. And the drama was not over. She even entered the Big Boss House. I mean a massive respect for the Big Boss makers. I just can’t get over the things that what is the reason behind so much success of such an awful song. 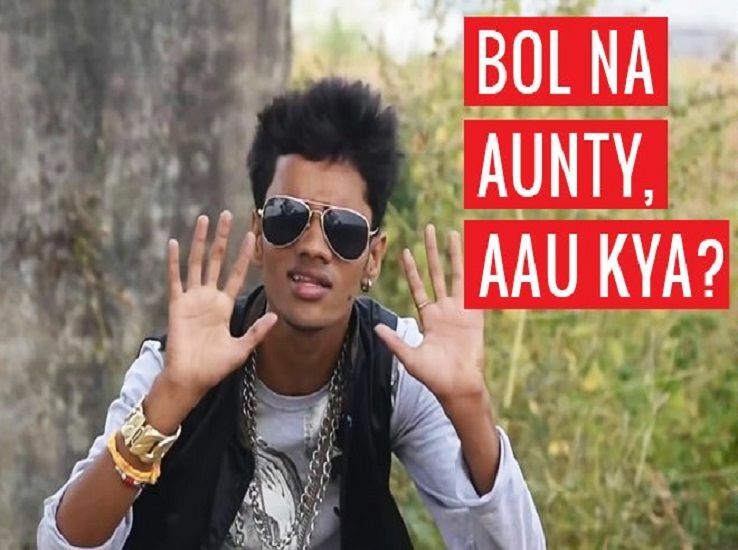 I mean at one hand you keep complaining about the lyrics all the time and then a notification flashes,” Rapper Om Prakash’s Aunty ki Ghanti crossed one million views over the internet”. And here a flying answer comes,”Kamleeeesh”. The video was all about a 13-year-old boy who was addicted to the drugs. He had them in the form of a solution tube which he called “Sulochan”. However, most of the internet crowd was worried of the fact “how small kids are being addicted to these drugs because of the poverty level”. The controversy between the great actor Hrithik Roshan and Kangana Ranaut was so much into the air at a time. But after the actress’ interview at Aap Ki Adalat, it started taking the form of the memes. And the memes were like, Indian moms saying to their child, “Tum aur tumhare pitaji k paas toh duniya bhar ka paisa hai” and what not. Well, 2017 mobile users are well aware of the notification “ Link your Aadhaar by 31st December”. From bank accounts to mobile numbers to your Paytm account you were asked to link everything with Aadhaar. Most of us were like, “Saans lelu??? Ya use bhi aadhaar se link karau??hahaha.. 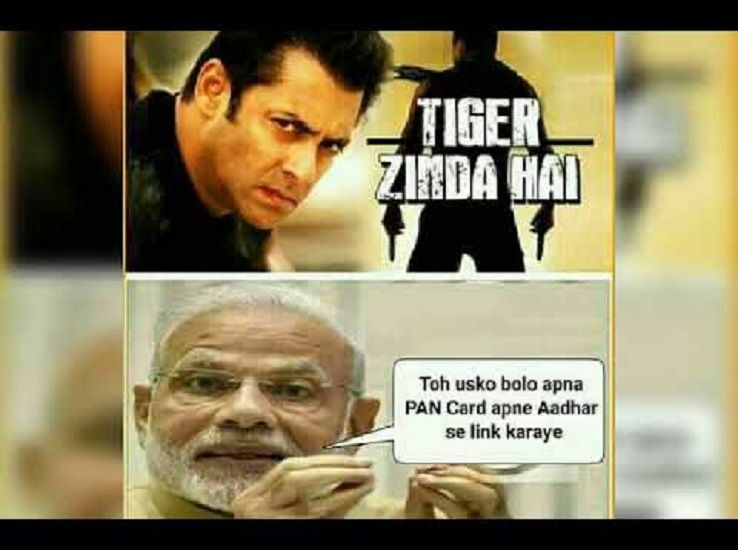 And the hilarious one was after the arrival of the movie “Tiger Zinda Hai” and the tiger was asked to link his aadhaar card and PAN card with his bank account. Isn’t it like what!!! 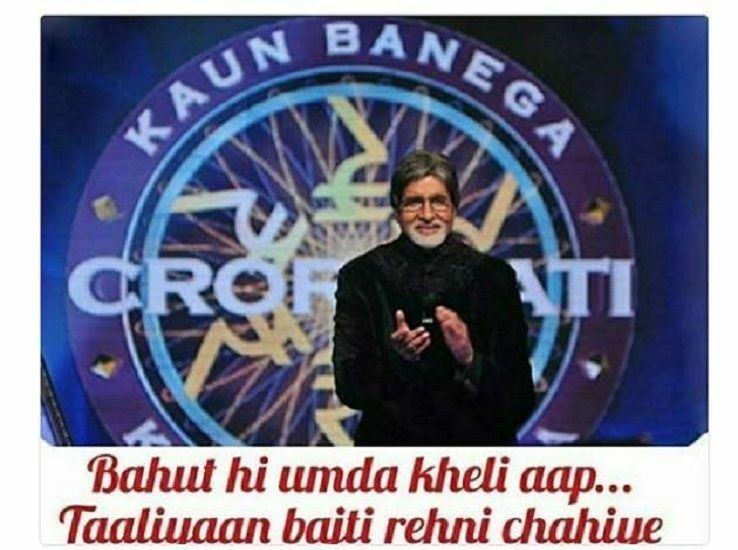 Agree or not, the tone of Mr. Amitabh Bachchan from the SONY Tv’s show became the internet sensation over a couple of weeks. If you are still not getting me, just go through these. When she rejects you by saying she doesn’t want to be in a relationship right now, and she gets a bf next week. I was like, “Bahut hi umdaa kheli aap, taaliyaan bajti rehni chahiye”. Abhishek: Papa, What are your views on my acting career? I am sure u got me. 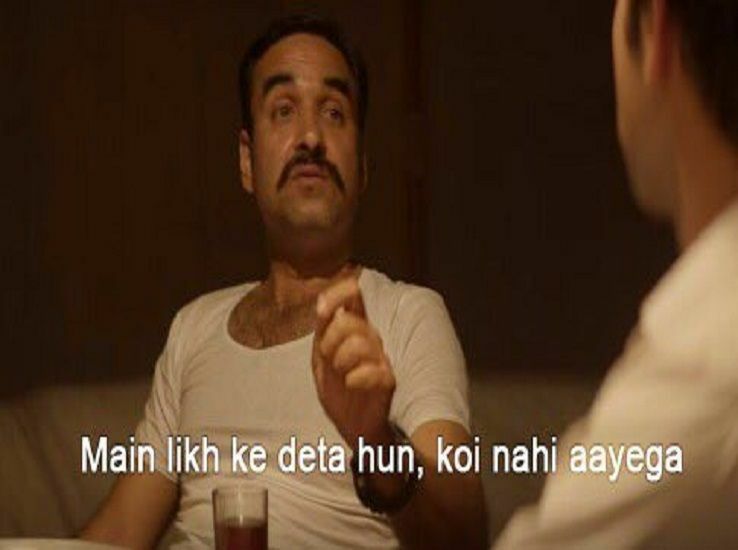 And the meme is all about when you invite your friends at a Jain’s wedding. Your reply is like, “Mai likh k deta hun..koi nahi ayega”. Well, the dialogue was famous after the Oscar nominated movie Newton. 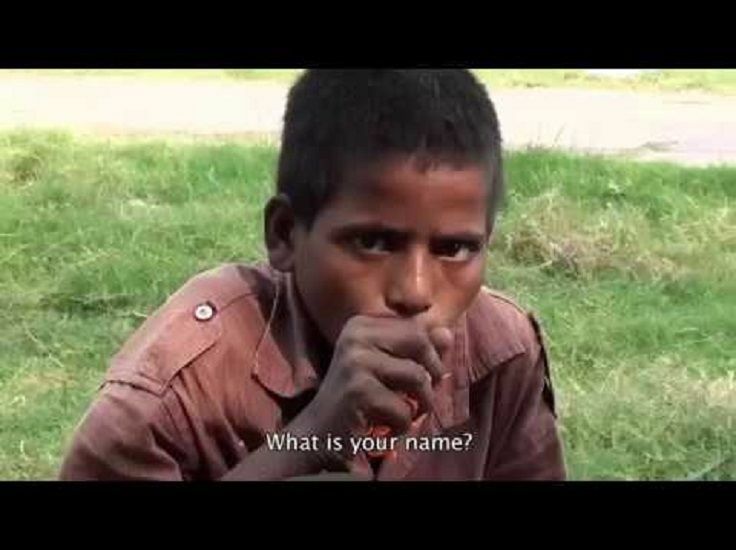 Last year a video came into the scene where a boy was complaining about the potholes of his city and within a second he himself falls into it. And from then the meme became viral. The words were like “Pehle gaddha surakshit karao, Nagar Palika ko Bulao”. I bet these were something that really made us fall for the social media. U.P. (Uttar Pradesh) is as awesome as gold if you digg down.. read 13 reasons to know why.. The birth and Growth of Flipkart. Read how an eight year old company turned the tides of Indian Ecommerce industry.